Dai Sato was born in Shimane, Japan in 1969. Around the age of 19, he contracted with "Sold Out" and started his career working on broadcast composition and lyric writing. His interests gradually shifted toward the gaming industry and at the age of 23, Mr. Sato met Satoshi Tajiri, the game designer that brought the world "Pocket Monsters," and began working at Game Freak. When Mr. Sato completed his contract the following year, he continued with his writing career, but at the same time expanded his reach into Techno and Club music. Soon thereafter, Mr. Sato co-founded a Techno music Label (Frogman Records) with Kengo Watanabe. This venture evolved into a planning company (his main forte) called, Frognation. In 2007, Mr. Sato independently founded a new company, Story Riders, where he currently serves as President. Some of Mr. Sato's representative works include well known anime such as Cowboy Bebop (1998), Ghost In The Shell: Stand Alone Complex (2002), Wolf's Rain (2003), Samurai Champloo (2004), Psalms of Planets: Eureka Seven (2005), Ergo Proxy (2006), FREEDOM (2006-2008), Eden of the East (2009), Halo Legends: The Package (2010), Tekken: Blood Vengeance (2011), Lupin III: A Woman Called Fujiko Mine (2012), and Chou Soku Henkei: Gyrozetter (2013), Space Dandy (2014), Mysterious Joker (2015-), Puzzle & Dragons X (2016), and many more. In addition to Anime projects, in 2014 Mr. Sato wrote the screen play for his first Japanese television drama, entitled No Con Kid. The series was broadcast on TV-Tokyo. The story revolves around the history of video games from 1983-2013. Then in 2015, he wrote a 5 episode mystery/suspense drama entitled "Yami no Bansousha": Partner In Darkness, which aired on the WOWOW network. Mr. Sato continues to be involved in various video game projects. Around 2000, he worked on the Ace Combat 3: Electrosphere game. In 2004, he worked on the screenplay for Ghost in the Shell: Stand Alone Complex. In 2008 he was credited on Pokemon Ranger: Shadows of Almia. In 2010 he wrote the story for Scared Rider Xechs. 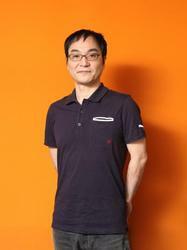 In 2012 he wrote the screenplay for Resident Evil: Revelations. Mr. Sato also worked on the scenario for the Capcom's E.X.Troopers], a Lost Planet spinoff released on Sony PS3 and Nintendo 3DS. In 2016, Mr. Sato worked on Square Enix's Figure Heads. In 2016, Story Riders list of anime works included Mysterious Joker (Series Composition: Dai Sato), Scared Rider Xechs (Series Composition: Naruki Nagagawa), Monster Hunter Stories: Ride On (Series Composition: Natsuko Takahashi), and Puzzle & Dragons X (Series Composition: Dai Sato). Story Riders also worked on several games, including Monster Hunter Stories (Main Scenario: Megumi Shimizu) and Puzzle & Dragons X: God Chapter and Dragons Chapter (Main Scenario: Naruki Nagagawa) for the 3DS, Gung Ho Online's Let It Die (Scenario Development Consulting: Muga Takeda) for the Playstation 4, and Square Enix's Figure Heads (Environment/World Concept: Dai Sato) for the PC. Additionally, Mr. Sato has a regular Podcast called Sato Dai's +/- zero (started in 2007) in which he talks about a wide variety of topics - anime related and otherwise. (Japanese only). Mr. Sato also co-hosts a radio program on block.fm with m-flo's Taku Takahashi every 5th Tuesday (JST). The title of the program block is don't_blink.